Meet AutoDelivery, a new robot created by a local company designed to improve workflows and boost efficiency in large stores, warehouses and factory floors. Cleaning robots boasting Brain Corp.’s technology already grace the floors of Walmart and other big retailers. The San Diego startup announced on April 2 it would take its talents in another direction: delivery robots. Brain Corp.’s newest product, AutoDelivery, won’t be delivering takeout to your doorstep. What it will do is help transport goods across large stores, warehouses and factory floors. The autonomous mobile robots are meant to help companies improve workflows and reduce interruptions. 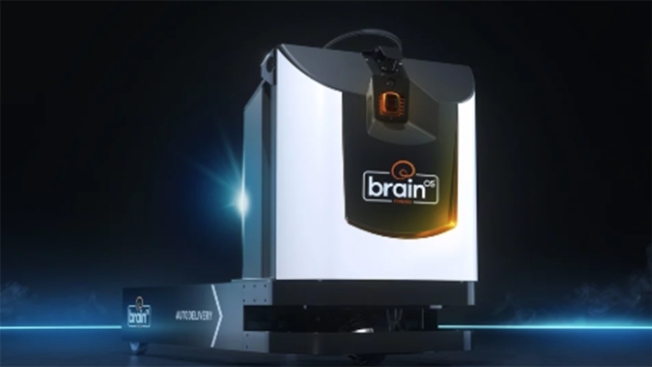 Brain Corp. said it was currently seeking a manufacturer for the robot, and expects to bring it to market it early 2020. The company has big backers in SoftBank Group Corp., which led a $114 million round in 2017, and Qualcomm Ventures, which led a $10 million series B round in 2012.